Just drop us a message if you have any questions, or if you are looking to work with us. We want to encourage everyone to interact on the site and engage with this community through our comments section on blog posts. Diabetes UK is the largest organisation in the UK working for people with diabetes, funding research, campaigning and helping people live with the condition. They support people with both type 1 and type 2 diabetes, and have centers all across the UK. Their dream is to see a future without diabetes. To see more about the fantastic support they offer take a look here. JDRF is a charity in the UK who specifically work with type 1 diabetics in the UK. They support thousands of diabetics across the UK and their main goal is to push the boundaries of research into type 1 diabetes and one day see a world where nobody in the UK has it. They have sites all across the UK. You can check out more about them here. 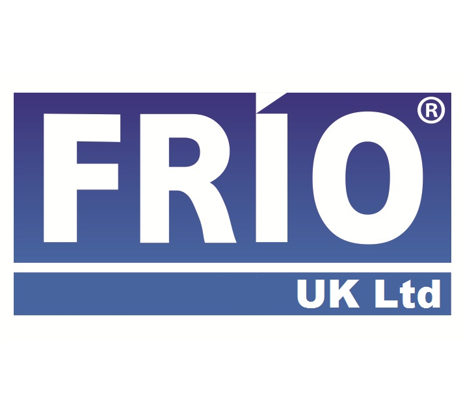 Frio UK is the country's leading producer of type 1 diabetic travel equipment. Best known for their insulin cooling bags that we believe are a must have for anyone looking to go abroad. You can check out their website here. T1International is a global charity working towards adequate access to insulin, diabetes supplies, medical care and education for all people living with type 1 diabetes. They campaign and collaborating with existing initiatives, and support organisations around the world that are working to make life better for people with type 1 diabetes. T1International believes in a world where everyone with type 1 diabetes – no matter where they live – has everything they need to survive and achieve their dreams. Because life with diabetes is complicated, but access to vital insulin, diabetes supplies and medical care should not be. Visit their site here. We are happy for guest bloggers to feature on our site. We do have certain guidelines and only allow content that is relevant to our blog and is useful to our readers. If you are interested in writing for us or featuring on our site then please do get in contact. Looking to start your own travel blog? Our site is completely built and managed by ourselves and we have put extensive research and time into getting it to the high standard you see here today. We truly love running this blog and have learnt so much from the experience. We are more than happy to pass this onto others and to help you run your own travel blog. What makes our site different and why we love it so much is that it isn't a standard WordPress site that 95% of other sites are; instead we use a different software to build our site that isn't the standard drag-and-drop system. That gives us complete flexibility in what we want do. Drop us a message with what you need help with and we can discuss things further.